"I’m a Croatian, born in Serbia and grown up in Bosnia & Herzegovina and Hungary. Earlier in my life I was a sculptor and had 2 small exhibitions. After the war broke out I left that behind me and started drawing political cartoons for my school paper and I also discovered typography whilst making and selling t-shirts. During my studies at art academy, I started working as a freelance graphic designer and with 11 years of experience, I've worked with clients like The Financial Times, Warner Brothers, Virgin Media and Saatchi & Saatchi to name a few. 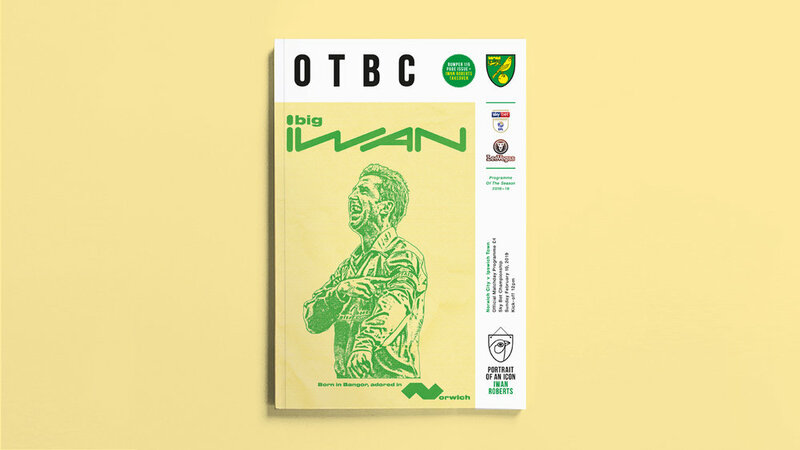 My artwork for the Norwich City programme cover features club legend Iwan Roberts who I remember very well from watching English football whilst growing up. He was a physical presence and I remember him best for many goals from powerful headers. 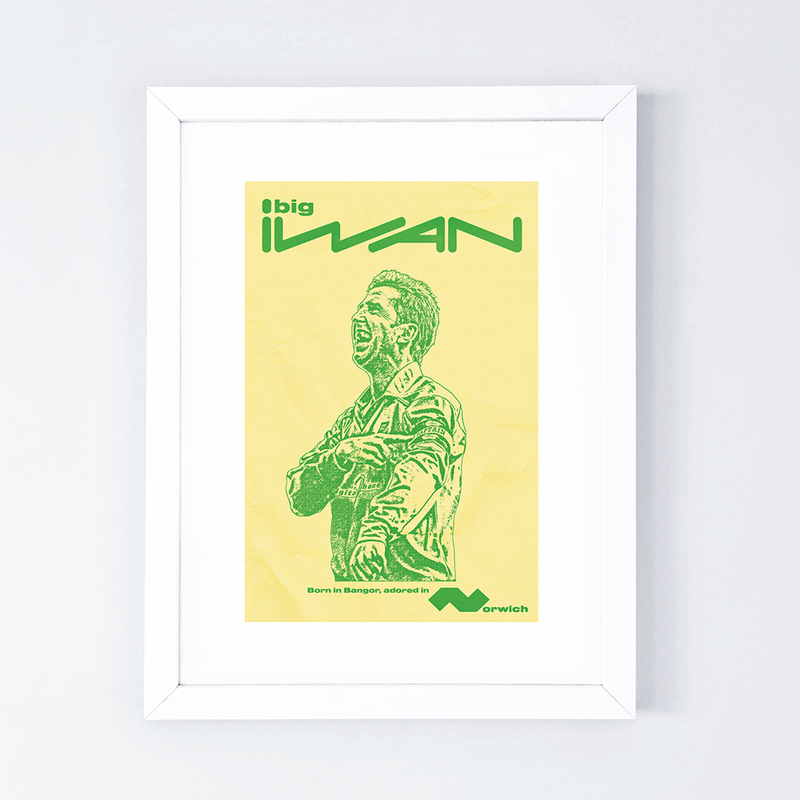 I have illustrated him here during the era when he was Norwich captain as he points at his armband during a goal celebration, most likely from a header! Hope you enjoy the artwork and it brings you good luck for the match."